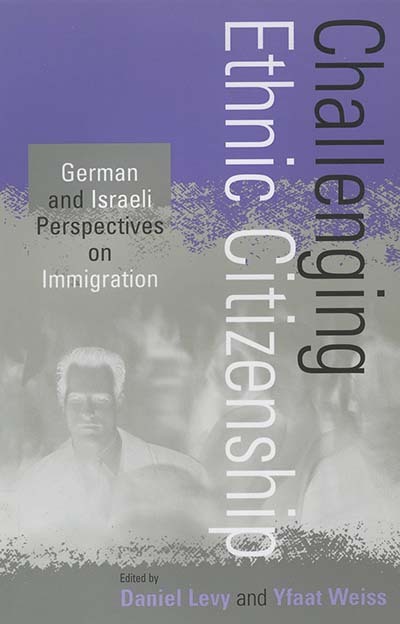 In contrast to most other countries, both Germany and Israel have descent-based concepts of nationhood and have granted members of their nation (ethnic Germans and Jews) who wish to immigrate automatic access to their respective citizenship privileges. Therefore these two countries lend themselves well to comparative analysis of the integration process of immigrant groups, who are formally part of the collective "self" but increasingly transformed into "others." The book examines the integration of these 'privileged' immigrants in relation to the experiences of other minority groups (e.g. labor migrants, Palestinians). This volume offers rich empirical and theoretical material involving historical developments, demographic changes, sociological problems, anthropological insights, and political implications. Focusing on the three dimensions of citizenship: sovereignty and control, the allocation of social and political rights, and questions of national self-understanding, the essays bring to light the elements that are distinctive for either society but also point to similarities that owe as much to nation-specific characteristics as to evolving patterns of global migration. Daniel Levy is Assistant Professor in the Sociology Department at the State University of New York, Stony Brook. He was previously Research Fellow at Harvard's Center for European Studies. His publications reflect his research interests in the comparative sociology of immigration in Europe and collective memory studies. Yfaat Weiss studied at the Universities of Tel-Aviv and Hamburg and is presently a Senior Lecturer in the Department for Jewish History at Haifa University and Director of the Bucerius Center for Research of Contemporary German History and Society. She has written on Eastern European Jewry in Germany and on Zionism and the State of Israel.